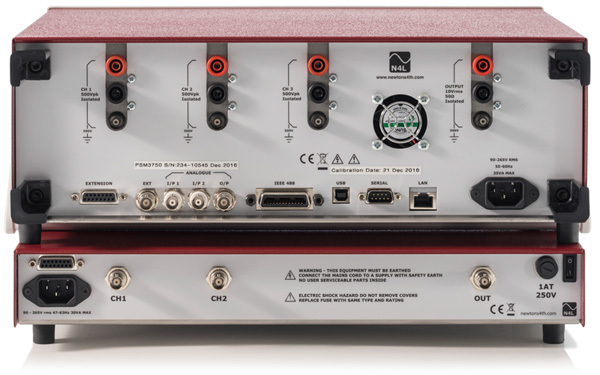 When used together with the PSM range of frequency response analyzers, the N4L impedance analysis interfaces provide a measurement solution to many impedance analysis applications. The most appropriate interface for a specific application will depend upon the nominal impedance of the sample or device being tested and the frequency of measurement and N4L will be happy to discuss the optimum solution to any application. 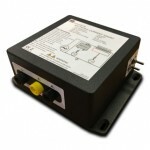 N4L have developed a Impedance Analyzers with the widest measurement range available on the market. Ranging from 1mΩ to 1TΩ, N4L are able to meet the needs of a wide range of industries including electronic component analysis, power electronic systems analysis, electrochemical materials analysis, dieletric material analysis and many others. From the budget LCR Active head solution covering up to 100MΩ to the top of range IAI2 covering over 11 decades of impedance between 1mΩ to 500MΩ with excellent accuracy. 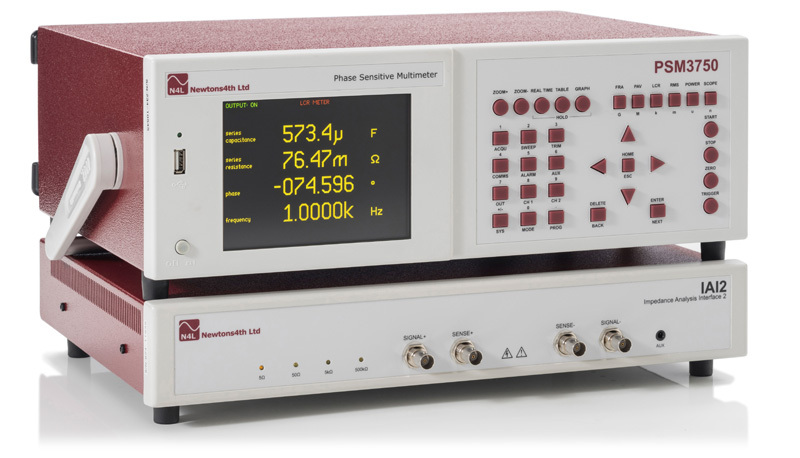 The PSM range of Impedance Analyzers can be used as a stand alone test instrument, whereby measurements are made using the instrument keypad and review upon the LCD/TFT display. Alternatively, users can utilize our PSMComm2 software program to control and acquire data remotely. Users can also write their own software control programs, for example in C, C# or VBA. Thus, the PSM can be integrated into a larger test system. Labview drivers are also available (in our support section) if required, which help Labview developers to quickly integrate the PSM/IAI impedance analyzers into their test systems. All software is available free of charge via download through our website. Impedance Analyzers can be used in a variety of ways, anything from simple LCR measurements of discrete components to material analysis of insulators and electrochemical solutions. BATT470m EIS provides an easy to use battery impedance test platform for the electrochemical industry.